Guilty verdict in 2009 Noah case ared. Guilty verdict in 2009 Noah case six years after he disappeared. Note that Moore (Noah’s cousin) was sentenced to nine years only for tampering with the body (hiding it) under a plea deal struck in August. We still need a trial to decide who is guilty of actually murdering Noah. An affidavit by Gillespie County Sheriff’s Deputy Brian Pehl quoted Moore as saying in a June 10, 2010 interview that Brandon L. Harber argued with Noah and then shot him at Moore’s home in Kendall County, Texas. “Moore told me that neither he nor Harber sought any medical care for Noah after the shooting,” and that the two used Moore’s pickup to dump the body, Pehl said in the affidavit. Conflicting information appeared in the papers about who shot Trey. Both defendants pointed to each other. Moore and Harber were arrested om June 11, 2010. They each faced first-degree felony murder charges as well as charges for tampering with physical evidence, a second-degree felony. I have not been able to find anything related to Harber’s charges. 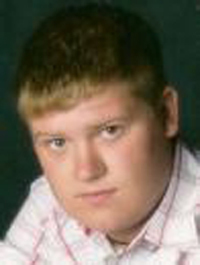 Trey Allen Noah, 20, disappeared in November 2009 from his parents home in Kendalia, Texas, near San Antonio. His body was found in April 2010.